Happy Monday all! Today we are starting our Stamp Highlights with the newest Little Agenda set, "Little Bear Agenda!" 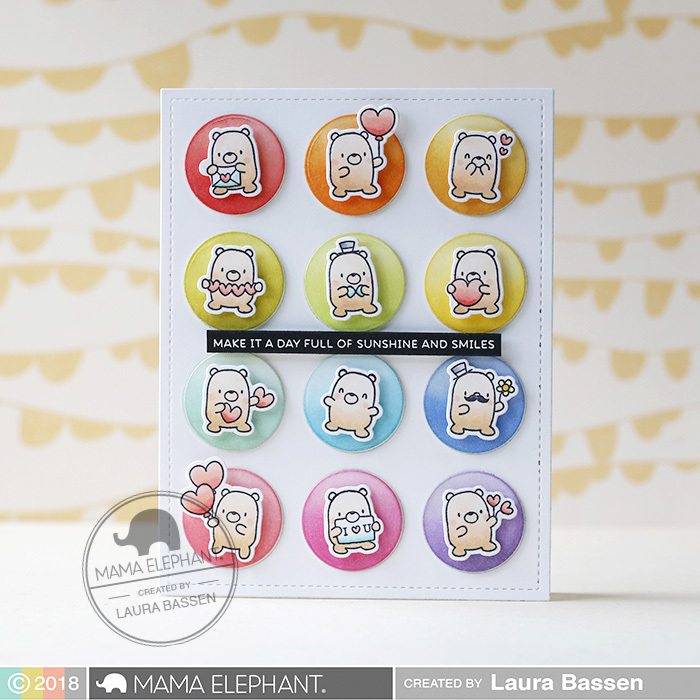 These little bubbly bears have so much love to give all year round! We love how Laura popped up the circles from the Circular Grid-Creative Cuts to frame the little bears, adding an embossed sentiment from Sending Hugs. Cuteness overload! Thi made a Goldilocks and the 3 Bears scene by pairing Little Bear Agenda with Little Girl Agenda and our Mini Milk Box 3D Creative Cuts. Amy combined the Little Bear Agenda with the Circular Grid and the Woodgrain Cover Creative Cuts to make this sweet shaker card. The little sentiments are from the Wishful Taggins stamp set. Sweetest love card by Vera! We love the white and pink together in this card. She used the hugs die from the Framed Tags - Hug It Out - Creative Cuts set and added a little sentiment from the Sending Hugs set. An adorable from card from Keeway! 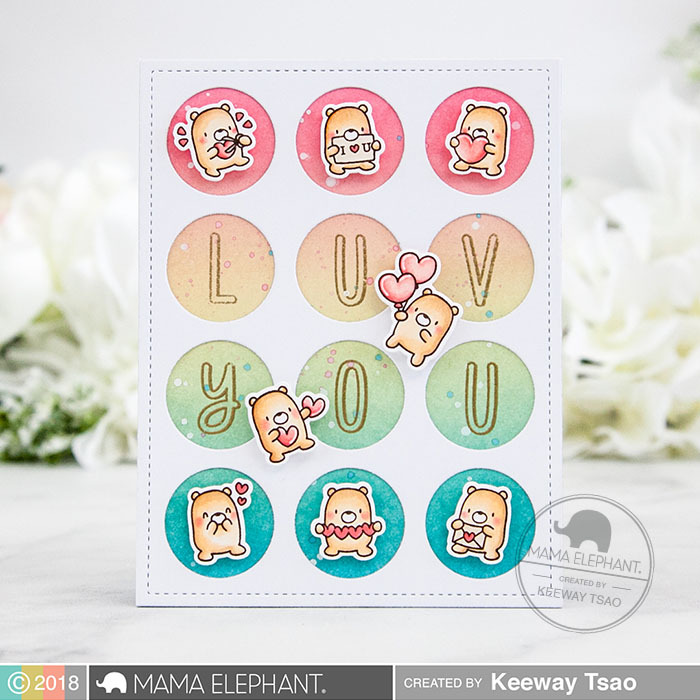 She spelled out 'LUV YOU' in the Circular Grid Creative Cuts and decorated with tons of cute bears from Little Bear Agenda! I love those adorable bears and the circular grid is perfect for them and any small image. This release has my mind spinning -- so many possibilities! so many wonderful ways to make fun! Love what you crafted! I love this circular grid! I just purchased it on Friday, and I can’t wait for it to get here! There is so much I want to do with it. These cards are so cute I can't stand it! Such a clever & pretty die and stamp set! So versatile and dang cute! The bears are just adorable!